There’s a very simple, easy method to demonstrate to your staff the critically important issue of how to constantly improve effectiveness and efficiency. We have all heard the phrase, “work smarter, not harder” and yet I would venture to guess that few of us really understand how to apply that lesson on a daily basis. June Jewell, a professional colleague of mine, has written an excellent book, Find the Lost Dollars: 6 Steps to Increasing Profits in Architecture, Engineering and Environmental Firms, that encourages firm leaders to enhance the best practices of their firm and with it, the profitability of every project. The book is filled with excellent, easy to understand recommendations for improving the way we go about the daily tasks involved in running an organization, regardless of its size. And, as good as all these recommendations are, for me, it’s the clarity that each chapter provides as an insight to working smarter. Not to oversimplify the effort and time it takes to learn how to discipline oneself, about anything, June has nonetheless, brilliantly introduced a logical, easy way to comprehend the method and means for enhancing a firm’s revenue, which might otherwise be overlooked or lost due to the lack of a best practices discipline for its operations. However, what resonated most for me was the obvious potential that exists in what I refer to as The Power of 1%. Simply by adjusting each of the four metrics above by only 1%, we would increase Net Profit by 9%. The daily timesheet policy and process must become 100% adhered to, by all firm members, no exceptions. A targeted Utilization Rate must be published for every member of the firm, and every effort made to meet this target as a minimum goal for each week. “Scope creep” must be eliminated by providing every project team member with an electronic and hard copy version of each project’s contracted scope of services. Every project fee proposal must begin with the development of a project fee budget and schedule, which includes a “work plan” indicating the allocated hours, per phase, per task, per project team member for the duration of the project, as scheduled. This work plan is to be provided to each team member. 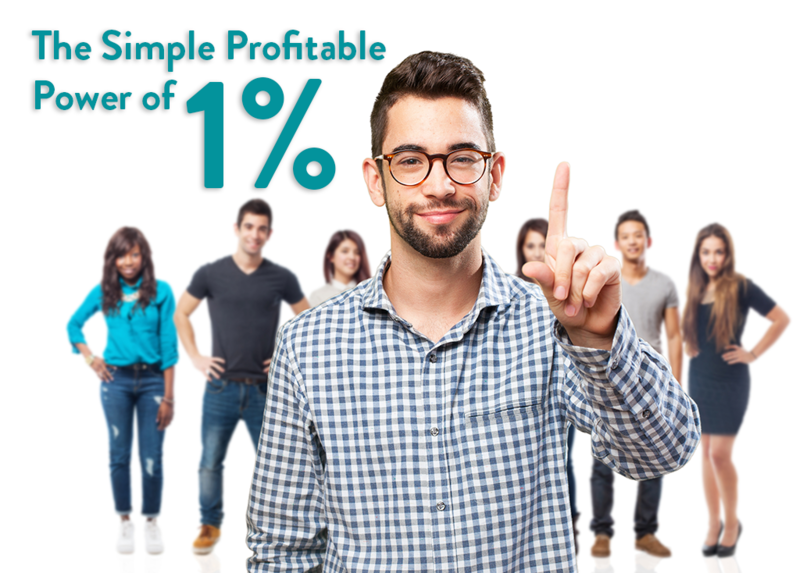 There are numerous other examples of how The Power of 1% can be demonstrated that amplify its positive impact on any firm’s “Bottom Line” (Net Profit before Distributions and Taxes). There are several other modifications, as well, that will become self-evident, over time, as this change evolves for each firm. It’s a simple choice to work smarter, not harder, and enjoy the gain (much) from the pain (not much) that would be required for this to be possible. This is a guest post written by Steve L. Wintner, AIA, Emeritus, an architecture management consultant and co-author of the book, Financial Management for Design Professionals: The Path to Profitability (watch for an updated edition coming soon). To learn more about Steve, his firm Management Consulting Services or to dive deeper into the subject that Steve is sharing with us here at EntreArchitect, visit his website at ManagementConsultingServices.com.